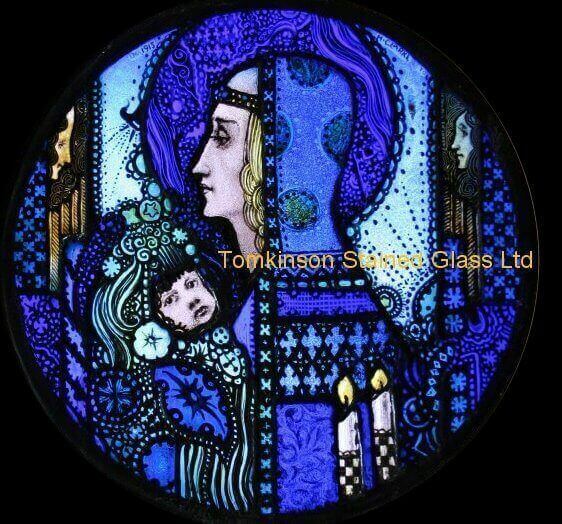 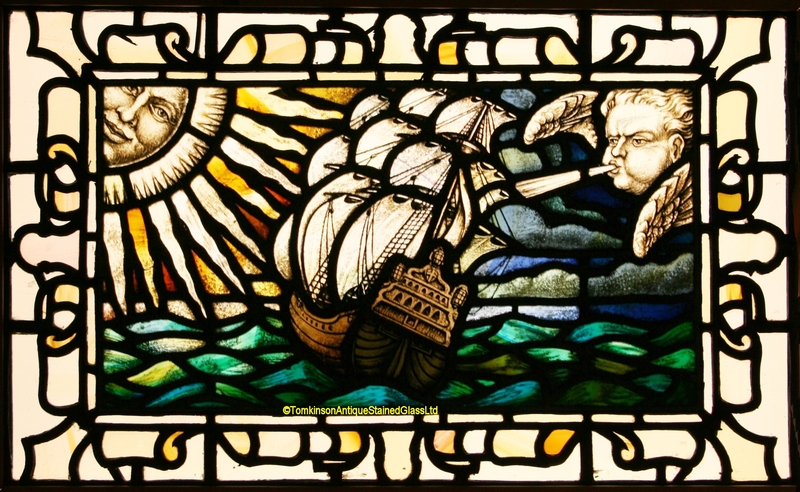 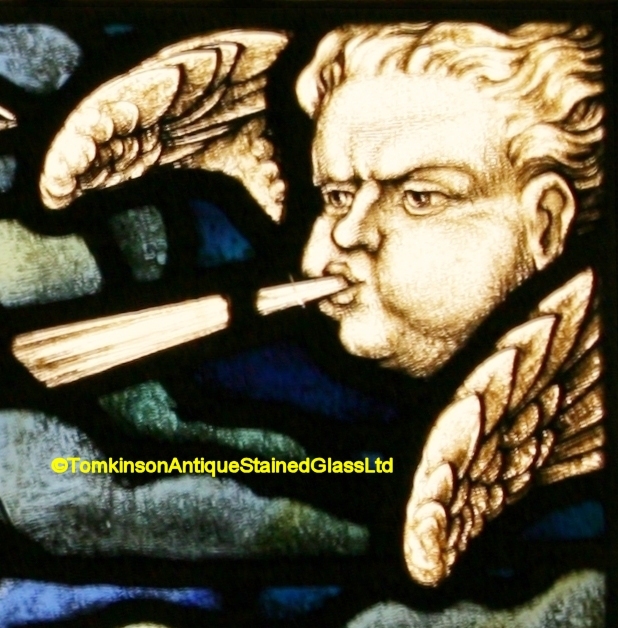 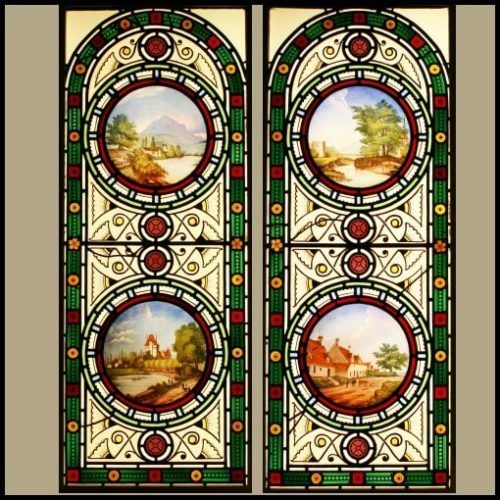 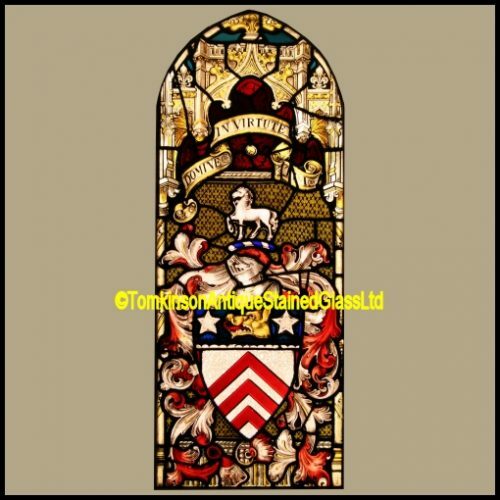 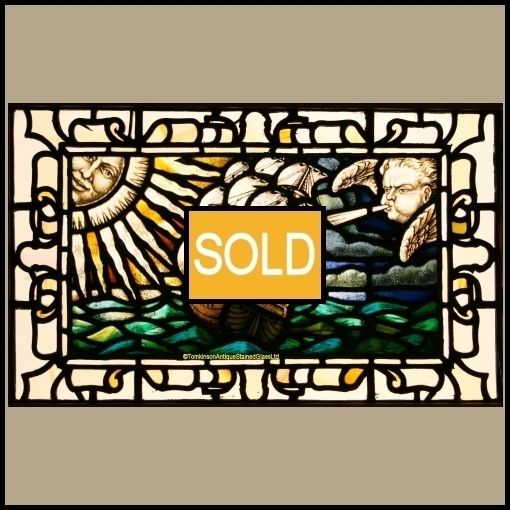 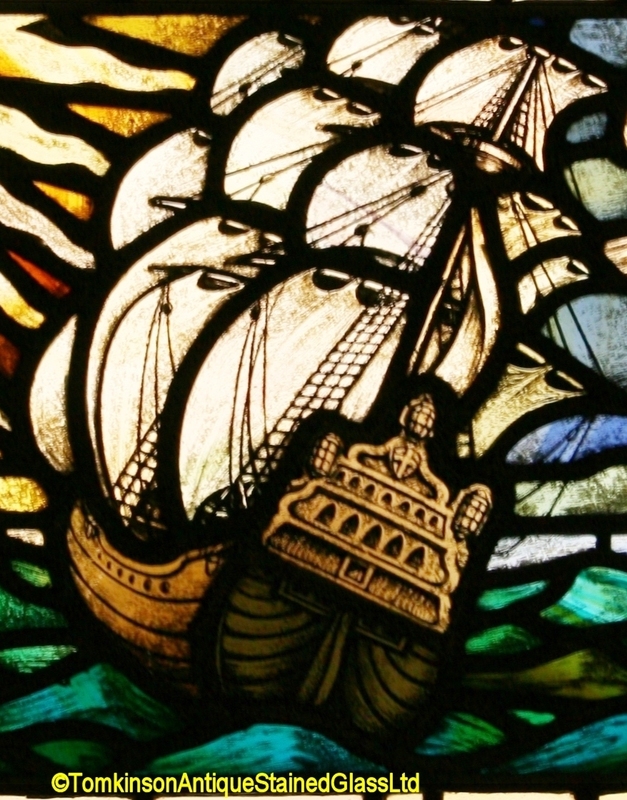 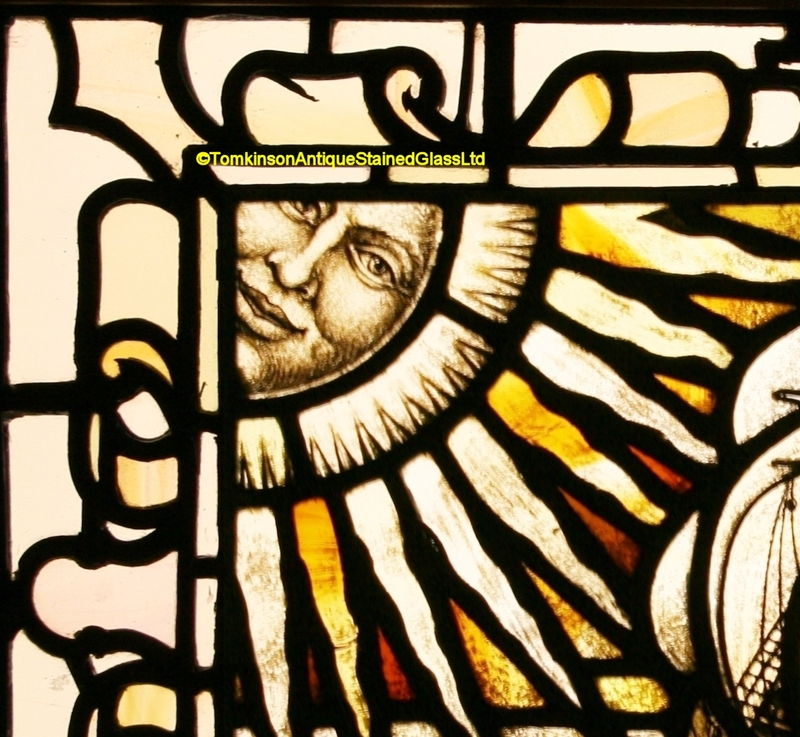 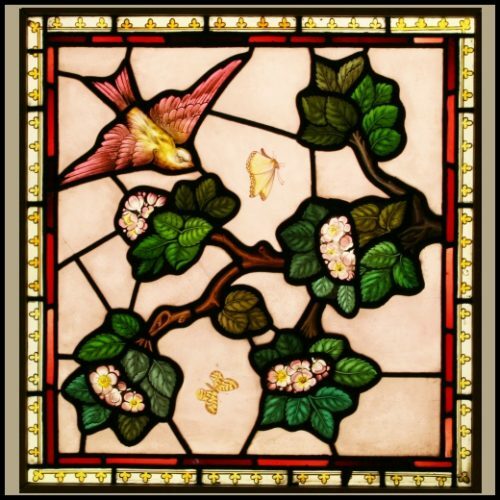 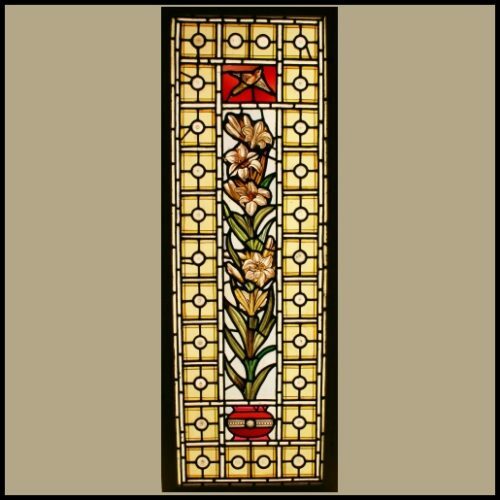 Lovely Scottish Arts & Crafts antique stained glass window, leaded with coloured glass and hand painted depicting a gallon sailing on a choppy sea with the Sun and the Wind either side. Around is a border of obscure pastel yellow border. 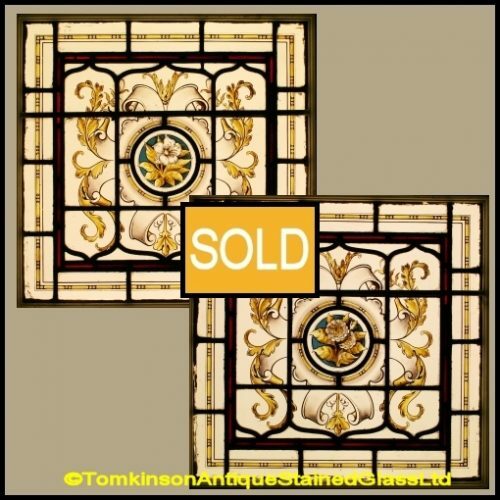 Window in excellent original condition.